Harry is a typical spaniel, nose down and off he goes, sniffing everything and everyone. Harry is very strong on the lead and would benefit from further training, this said, he is house trained and knows his basic commands and is very responsive to learning new things. He loves attention and would be better suited as only dog, he prefers humans for company anyway – if there is a lap free he tries to climb onto it. He is happy to be left for short periods and is also crate trained. 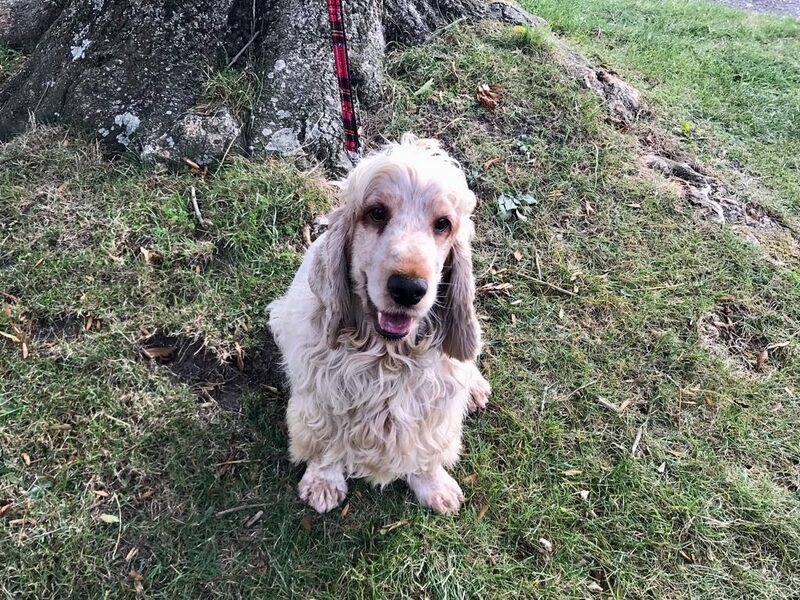 Harry would enjoy an older family, where he will receive lots of walks and attention and, due to his ability to sniff out a burger at a mile’s distance, he will require further training with recall. Harry is 5 years old, neutered, vaccinated, microchipped worm and flea treated and is being fostered in Deal, Kent.